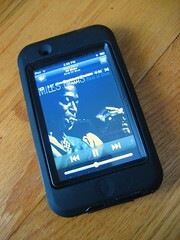 I've had my iPod Touch (16GB 1st generation) for a little over a year now and love it! Because I have WiFI at the house, at work and at most places I use my touch, the device works well for me. Besides carrying my music, I really appreciate having access to the web via Safari, my email, Twitter, and RSS feeds, and many other native iPhone/iPod Touch apps available at the App Store. 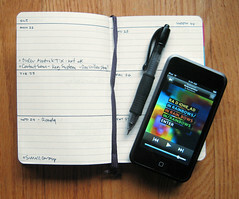 Will an iPod Touch Fit Your Life? WiFi Access Required — The iPod Touch depends on WiFi for network access, so you need to think about where you'll use the device. Do you have a WiFi network at home, work and most of the places you plan on using the Touch? If so, the Touch could work well for you (it does for me). Web Surfing — One of the killer features of the iPod touch is mobile Safari, providing access to nearly any website on the net. I've even been able to do online banking securely in a pinch, using Safari. You should note that Flash is not supported in mobile Safari, though most sites I access, flash isn't even a critical consideration. Outlook/Exchange Support — The latest 2.x version of OS on the Touch includes Microsoft Exchange support for calendars and email. If you're an Outlook user, the iPod Touch can be a nice tool for keeping track of your inbox and calendar. 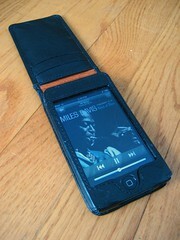 RSS Reading — I'm a NetNewsWire user and love the native application for the iPod touch. It grabs my RSS feed when I launch it with WiFi access, allowing me to read my feeds wherever I am, whether I have WiFi access or not. Twitter — If you use Twitter, the Touch is a great device for following and posting to your Twitter stream. You can do this with mobile Safari, or native applications like Twitterriffic, TwitterFon, Twinkle, Tweetsville and more in the Apple App Store. 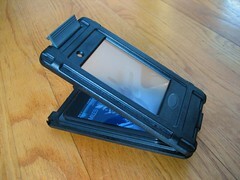 Video On The Go — The iPod touch has a very nice wide screen for carrying videos along wherever you are. I have a young son, and it's invaluable to have a few cartoons and films on hand for him to watch on long car rides. Google Maps — The Google Maps application for the Touch is another useful tool. Because I often don't have WiFi access on the road, I'll normally load up my map information ahead of time, so I can use the cached version of the map as I travel. Music Streaming — I enjoy the various native apps for streaming music to the Touch, including Pandora, Last.fm and AOL Radio. With a WiFi connection, I have access to a wide variety of music. Be aware that this does drain the Touch's battery more quickly. Those are just a few of the uses I've discovered for my iPod Touch. I'm sure for each person, there are uses and applications that suit them best. I need to share the few limitations and downsides that an iPod Touch has, to offer a fair and balanced view of the device for good decision-making. No Speaker (1st Generation) — This is only an issue on the 1st generation Touch devices. While I thought it would be a bigger deal, it hasn't been for me. In the car I have a tape player adapter to get sound, at work I have an iPod music system, I've picked up a mini speaker system or carry a pair of headphones. From time to time though, I have wished for a speaker to watch a video or play a tune. No Hard Controls (1st Generation) — This is mostly a 1st generation issue as well, as the 2nd generation Touch devices have volume control buttons. Mainly this has been an issue for me in the car, where I wish for hard controls to jump between songs. What I've found is, I've adapted to this lack of hard controls by setting up my audio ahead of my drives/walks so changing isn't so necessary. Dependent on WiFi — Having WiFI access to the net is wonderful, but when you don't have it, you notice. Generally I'm in WiFi range, but there have been a few occasions where I wished for 3G network access. Having constant network access might be one reason to go to an iPhone if that's critical for your use pattern. 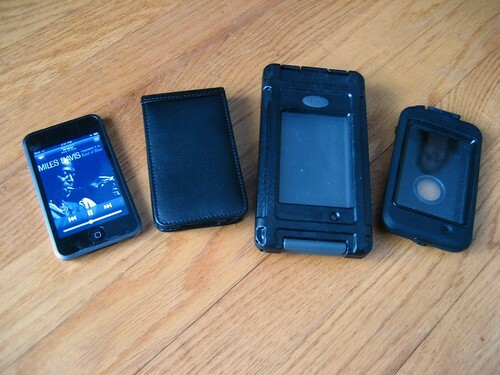 You can check out articles I've written on why I chose the iPod touch as my new PDA, a Two-Week Update on the iPod touch, and reviews of several iPod Touch cases from Piel Frama and OtterBox for more information. If you're in the market for a thin, useful web/mail/music/video tool, check out the 1st generation 16GB iPod Touch. 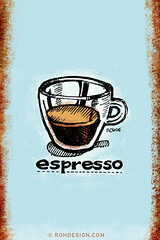 It seems the vertical 320 x 480px coffee sketchtoon wallpapers for the iPhone, iPod touch and Palm OS devices with vertical screens are quite popular! Since square-formatted screens on Palms and iPods can also make use of wallpapers, I've created a new set of twelve 320 x 320px wallpapers. 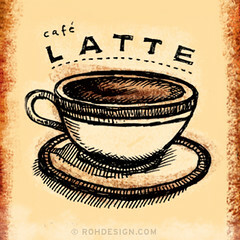 Each coffee wallpaper is a 320 x 320px color JPG file, available as a free download from Flickr, for personal use. If you like the wallpapers, please consider picking up a Sketchtoon Coffee Calendar for yourself or a coffee-loving friend as a unique gift as a way to say thanks.